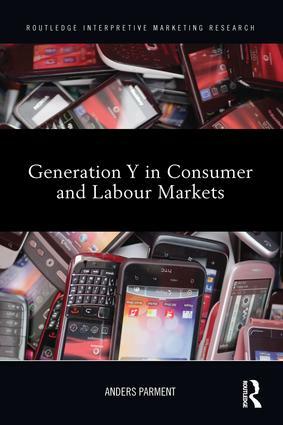 Generation Y in Consumer and Labour Markets explores the role of people born in the late 1970s and 1980s as consumers and coworkers in an emerging post-modernist society. Having grown up in a branded society overcrowded with commercial messages and a never-ending supply of choices and opportunities, Generation Y not only influences consumption patterns, they also bring their values to work life, thus changing the attitudes towards the employee-employer relationship and how work is being done. Generation Y particularly see work as a venue of self-realization and the boundaries between work and leisure time are becoming blurred—thus the consumer and labor markets converge in some critical dimensions. This book delves into the substantial research body on characteristics and behaviors of the Generation Y, including their relation to other generations and the role of understanding generations in developing effective and attractive organizations. It further outlines the experiences and best practice for attracting, recruiting, selling to, and communicating with Generation Y, based on the author’s experiences from hundreds of organizations where he has been involved as a consultant – offering the reader a better understanding of generations in marketing research, and the impact of generations in employee-employer relations. Anders Parment, Ph. D., is a research fellow at the Stockholm University School of Business and a well-known speaker and strategy consultant. Anders is specialized in understanding generations and how they relate to society, work, and the consumption sphere. Anders has published numerous books and articles on a variety of marketing-related subjects, including a Marketing textbook with Philip Kotler.